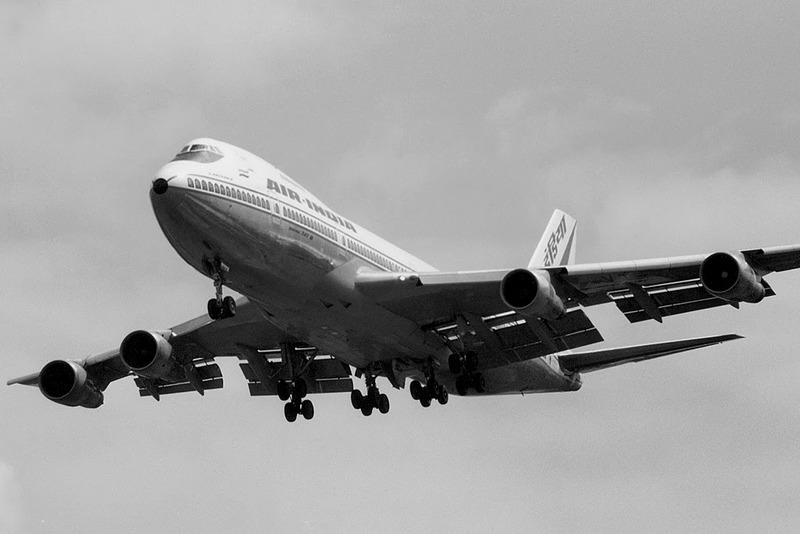 At with a silent thud, the mighty metal bird landed softly on the earthly runway. From 35,000 feet down to zero with a ton of metal, flesh and emotions I landed back into Earth. The art of self being comes back to realisation that you’re back into a world of chaos to garner and your worries have landed back with you. Being up there is a feeling I consider special. The quiet wind gush, the virgin white cloud,the lonely lights and the travelling stars within this strangely filled universe. Strange people, stranger lands, life by itself is amusing here, right here, up in the air. It’s like the way George Clooney speaks in his movie “Up in the Air” on How much does our life weigh? If we were ever to carry a backpack. What all are the stuff that we want to get packed into that bag. May be we will start with the little ones, and later the ones we need just because it’s there, and then comes the mightier ones and at last comes the people we most want. We start with the casual acquaintances, friends of friends, folks around the office... and then you move into the people you trust with your most intimate secrets. Your brothers, sisters, children, parents and finally your husband, your wife, your boyfriend, your girlfriend. You get them into that backpack; feel the weight of that bag. Make no mistake your relationships are the heaviest components in your life. All those negotiations, arguments, envy, losses, secret and the compromises. All our lives somehow come down to a single thing; moving! I am someone who travels like nobody’s business. It’s the moving part which keeps me alive. The places, the people and most of all, the memories. It all comes from moving. And during those moves is when I learn the real art of knowing and understanding life on its very own. All this being said, there are times when our bags are too loaded for comfort and we can no longer move in harmony. There are times when our bags pull us down, these can be our misjudgments, mistakes or by the people we know. We still try to strive and bring our comforts back but there are these times when it does become our last straw. It is at times like these that I feel I should fly, a point when you just stop and go back to what makes you happy, and yeah, I want to fly. Be there, right there, up in the air. I travel 70 days a year. That's close to 210 hours. That makes more than a week and I love it. Because each flight may be just a simple one but what makes it special is the journey. I don’t know how people look at journeys, but for me it so happens that each one is evidently becomes one of a page in my book of life. Right from the first one I took when I was 8 to the last one I am taking now at 28, every journey has moved me a little closer to understanding myself from a world of chaos I certainly can’t evade. 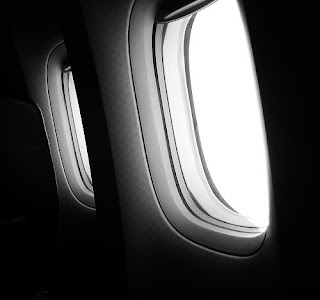 I always choose the window seat, I love it and it’s always a pleasure to look out at the world you leave behind and as you cruise towards the sky, you see the white cotton clouds swiftly passing beside you, it just makes your heart lighter. Out there for this beautiful universe, your just a dot passing through its immense matter, but for you; you’re out there looking out at the world below all by yourself through that magical little opening. The world feels small, the people feel lost, and the things mean nothing. You’re just a little dot on the face of matter, but still you’re above it all. To be there, right there, up in the air. Up there, with the sky darkening and the globe revolving I look down on the little streaks of light which used to light up my world and now the only light which follows me are the flare of the wing lights flashing up my window ever passing second. To the world below you don’t even exist, you’re just a parenthesis, you’re gone away to a world they cannot understand. Your worth is nil and your value as much as the value of the person sitting next to you. It doesn't matter if you’re sitting in first or business or economy, we are all just a bunch of people, sitting tight and passing like a streak of light on the midnight sky. We’re just a bunch of tightly knit bag of emotions travelling through time. Every time I settle down for the cruise I ponder my thoughts on the people have met, the lovely memories I have packed back and the journey forward, going home or elsewhere. I know life wouldn't remain the same as I wish it to be. To be in the air, up there is a part of life I cherish and love, for its silence and its solace comforts me, and I know that for a brief moment of my life I have disentangle myself from the chaotic world below and I cushioned myself away from the earthly grief’s and sorrows and I know its brief but it doesn't matter because the air up here in these clouds are so pure and fine, bracing and delicious. And why shouldn't it be? – it’s the same the angels breathe don’t they? Within all of us, living beings is a varying amount of space lint and star dust, the residue from our creation. 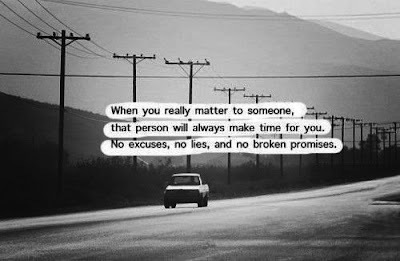 Most are too busy to notice it, and it is stronger in some than others. 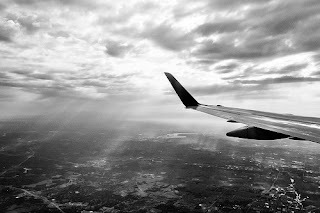 It is strongest in those of us who fly and is responsible for an unconscious, subtle desire to slip into some wings and try for the elusive boundaries of our origin; to cross borders and to fly beyond the horizons, to ponder to newer lands and to wander off this relentlessly beautiful planet we call home. 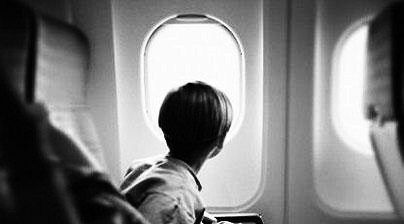 To know me is to fly with me, you’re my aisle and I’m your window look through me and I’ll talk to you about a life you've never known, the people I've known and more on the ones I’ve made through those little sweet trips I make around this world. If you ask me, there’s nothing much I’d like to say but my world is a little different my friend, you need to live it and see the way I do. It’s nice to know you’re a step above the world, up over the stars, at least for a brief moment of time. And when the sky darkens and the sound turns to its feeblest, most people finishing their day off will be welcomed home by jumping dogs and squealing kids. Their spouses will ask about their day, and tonight, they’ll sleep. The stars will wheel forth from their daytime hiding places; and one of those lights, slightly brighter than the rest, will be my wingtip, passing over you. And once you land back and move those wheels across the ever winding gates and escalators to reach the final gate and to see it open to the smiles and hugs of your loved ones. Well that’s where you discover the return of that sense of your very belonging. To know that this world, with all its chaos and colour is after all the only place that welcomes you with open arms. The love, the warmth and all those emotions you carried over those silent skies are to be reflected out here with the people who you belong to and that is what life is all about. And when you look back on all those amusing journeys of yours, this is what makes you feel it’s all worth it! WOW!!!! Your blog is damn attractive. I loved how you kept it all black and white. Something I wanted to do but, couldn't. All your write ups have a very beautiful feel to it.